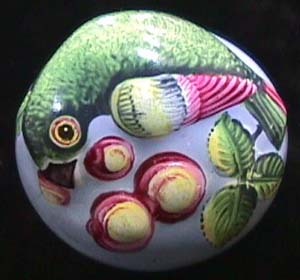 A rare Bilston Parrot and Fruit Bonbonniere, Circa 1780, (this model is also sometimes painted as a fish.) The base with a large moss rose. Best quality.